I got the largest referral of my career - for $1.2M - from a BNI Leading Edge member by being very specific in what I was looking for.  BNI has helped me grow my business significantly over these very many years. I have used NAL insurance and have known Fred Leblanc for many years. I had the occasion to use the roadside assistance 3 times in 1 year and there were no issues. Fast and easy. With respect to Fred's travel insurance expertise, I have heard him speak numerous times in BNI meetings and consider him to have a real wealth of knowledge, that if followed, could circumvent a travel disaster. 5 stars and 2 thumbs up ! I wanted to take a moment to thank you for all of your help with my order. Your help in selecting the best products for my mother's birthday was greatly appreciated. She is a very special to me and you helped me to make our day extra special. You were very professional to deal with and conveniently matched with me to deliver my order. This made a shopping with you a very easy. Your products team that beautifully wrapped and ready to go. My mom was very happy with all of the products and has already been asking me about how to order more. Please be assured that if I have other opportunities for myself, or to refer your services to others, I will not hesitate. Balbir, I am writing this letter of recommendation to you to express that I have use your ARBONNE products for a number of months this year. I have found them to be very high quality and better, SAFER than products that I have previously used. For example, the Sun Screen Product has proven to be one product that would not do without in the future. I have very fair skin tone: the sun protection performance has been outstanding this year. As a golfer, I'm exposed to UV for extended periods of time and I was becoming concerned, because applying other products I continued to have skin damage and burning. ARBONNE has solved this problem and I feel comfortable and confident when outdoors with your products. Balbir, you explained the product benefits thoroughly and you are a pleasure to deal with. Lorne St. Louis, President | Mohr Partners Inc. I joined BNI Leading Edge 3 years ago when Mobile Magic Auto Detailing was still a start up business. Joining this chapter and learning to network in a controlled environment has helped Mobile Magic Auto Detailing grow tremendously. The referrals received from BNI Leading Edge members has helped us build strong, long lasting relationships, which result in more revenue. Thanks BNI Leading Edge for helping Mobile Magic Auto Detailing grow!